Eleven years ago, on a dusty Wyoming creek bank, Trent McCullough's lips claimed hers for one glorious, mind-spinning moment. But Ainsley Hughes was promised to another man and determined to leave the hard country life behind. 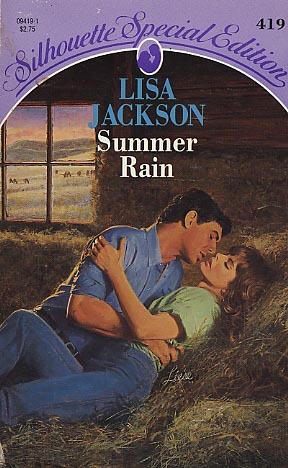 Now a widow, Ainsley reluctantly returned to her family ranch for the good of her troubled son. She was suspicious to find the Circle S failing--and a distant, oddly callous Trent in charge. Yet his stormy gaze heated her blood, leaving her parched for his former affection, and his unsettling manly presence tempted her like cool summer rain.